There are two types of guitars suitable for younger players - classical and acoustic. Saturday Music recommends choosing a classical guitar as the neck is smaller and the students are better able to reach the frets. Students should be able to reach their hand and fingers completely around the fret board. If you have an acoustic guitar already, that is fine. Nylon Strings: Saturday Music recommends that younger players choose nylon strings for their guitars. Nylon strings are easier on the fingers than steel strings, and are also cheaper. When purchasing a pack of six nylon strings you will notice that three strings are steel-wound; don't be concerned - these are, in fact, nylon. Nylon strings are often used for classical and some jazz music. Steel strings: These are more suitable for students with more guitar-playing experience as they are harder on the fingers. Experienced players could experiment to find which type and brand of string suits them best. Steel strings are used on acoustic guitars, and are often used for rock, country and folk music. 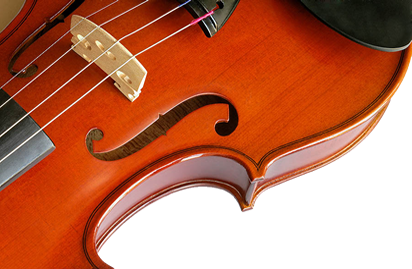 Steel strings come in different thickness, known as gauge sizes. Light gauge strings are good for beginners as they are thin and soft; heavy gauge strings which are thicker and harder are more suitable for experienced players. After playing your guitar, wipe the strings and the fret board with a dry cloth to remove oil and dirt. This will give the strings a better tone and a longer life.